Once again, Facebook content publishers are feeling the pinch. Facebook announced last week a change in the algorithm that creates its user news feed. That change, by design, prioritizes content created by friends and family over content created by Facebook Pages. What this means is that if part of your business plan is traffic from Facebook-published content, and you haven’t noticed a change yet, you will soon. I started noticing it several weeks ago for our client content. Initially we thought it was a summer downturn that would reverse itself, but soon realized something else was afoot. From our observations, organic reach of our client posts is down at least 25-percent, and that’s exactly what Facebook had planned. What do these changes mean for you? Basically, since Facebook now says it wants its users to see more friends and family content, your content will be seen by fewer people. That means fewer eyeballs, and thus fewer likes, comments, and shares. What can you do about it? Not much. While Facebook says its reason for making the change is to reduce spam in user feeds, another big reason is that it gives content publishers one more push in the direction of paying Facebook for more engagement. By boosting a post, even for a modest amount of perhaps $5, you can increase engagement dramatically by ensuring more people see your post in their news feed. Beyond paying for engagement, it’s critical that your content is interesting, well written, and posted properly. One way around the new algorithm changes is to try to generate more “shares” of your content. Since those shares are posts by “friends and family,” they’ll get a higher priority in the news feed. Additionally, you can encourage your “fans” to like, comment and share more. This obviously seems like something you would have wanted to do all along, but it’s even more critical now. One portion of the algorithm that remains is that if a user has liked and commented frequently on your content, they are then more likely to see your future content in their news feeds. 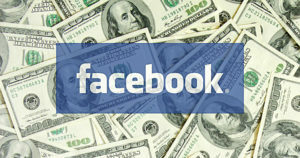 Facebook says it’s doing this because it realize that the mass of humanity that uses the service is its biggest asset. Content publishers may start leaving in droves, but in the end they’re simply throwing the baby out with the bathwater. There is no replacement for the traffic generated by Facebook, and until there is, we need to keep playing the game as best we can.